At this point I think it’s safe to say the HomePod isn’t a massive hit, and the $349 price tag likely has a lot to do with that—to say nothing of the way it basically locks you into Apple Music. Still, Bluetooth speakers are fun, especially when they’re portable. If you’d like to get your hands on a highly rated one for far less cash, Tronsmart is selling its portable T6 25-watt dual-driver speaker on Amazon for just $27.09, down from the usual price of $41.99. You’ll have to enter the code SAKQK7HI at checkout to see the discounted price, but otherwise that’s all there is to it. 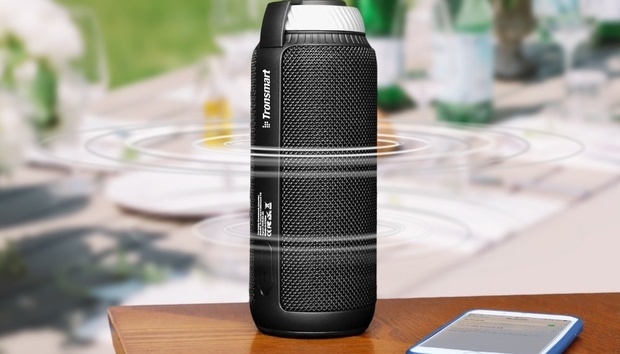 This is an especially good 360-degree speaker for playing your music outside, as it’s covered with a soft mesh for durability and its cylindrical design minimizes damage. At 19 ounces, it’s also light, meaning you can easily tuck it into you bag. Lower-rated reviews generally claim that it’s not that loud, and a couple of others claim that the battery life only reaches around five hours. So yeah, go for it.